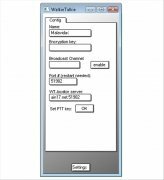 Make free phone calls with WalkieTalkie, an application that uses VoIP technology. 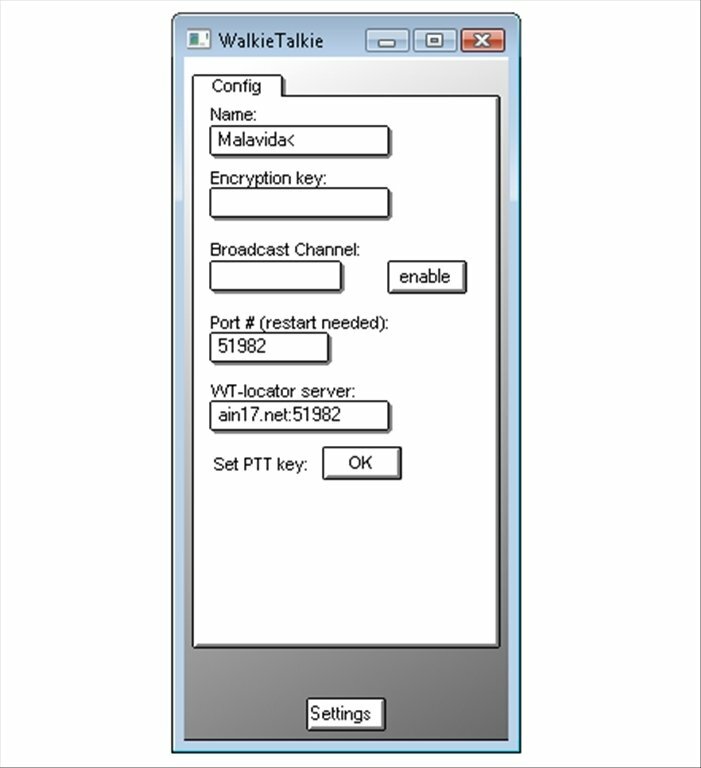 WalkieTalkie provides crystal clear sound, low latency and low resource consumption, both in terms of your computer's CPU and your Internet connection's bandwidth. Multiplatform VoIP software: Windows, Mac, Linux (via Wine) and iOS. Know who's available in your contact list. Conference mode allows conversations between three or more people. WalkieTalkie is a great program to communicate with other players whilst gaming. Keep the application open in the background while you enjoy your favorite video games thanks to its low power consumption. No installation required, simply create a username and a password to start using. 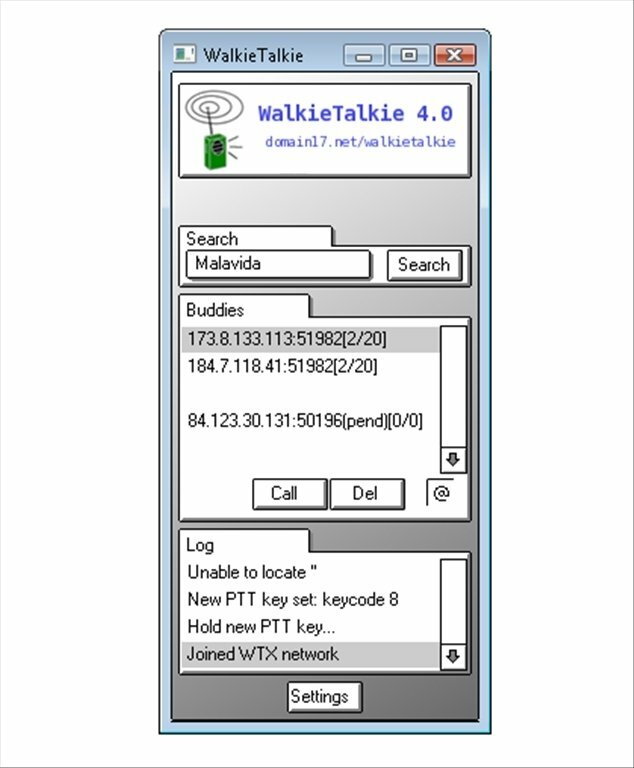 Download WalkieTalkie free, the perfect VoiP tool for you to chat free without using PC resources.